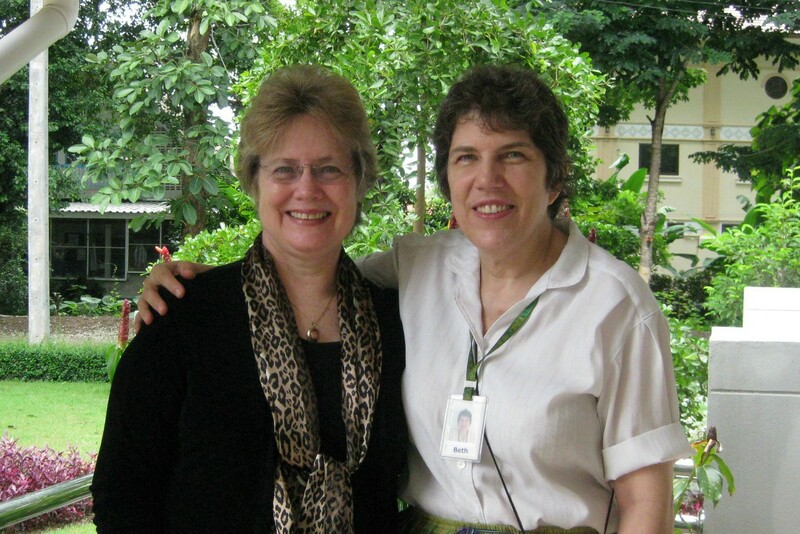 Meet Beth Roadarmel, a Presbyterian volunteer working in Thailand. 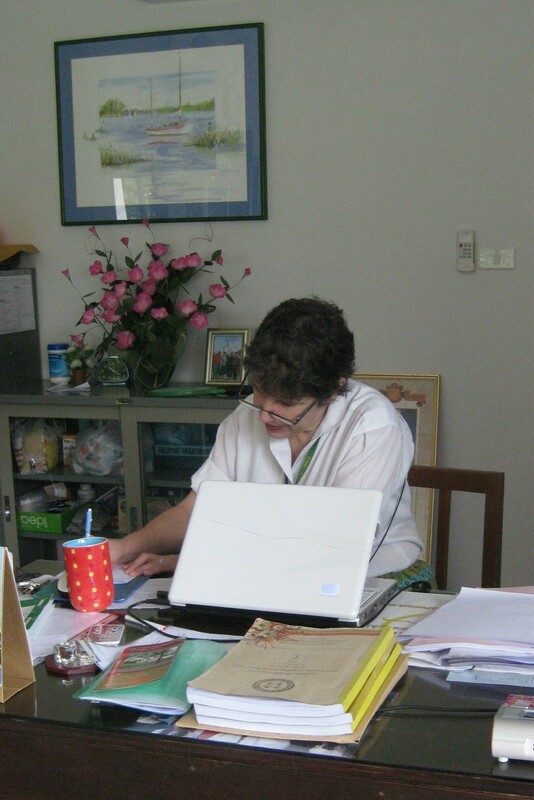 Five years ago, with the support of her PC(USA) congregation in Poulsbo, Washington, Beth came to Thailand to work at McKean Rehabilitation Center. A trained nurse, it did not take her long to find a way to use her gifts in ministry in that place. I have known Beth for most of my life, though our friendship has gone through long periods where we lost touch with each other. Beth’s parents were also PC(USA) missionaries to Thailand. 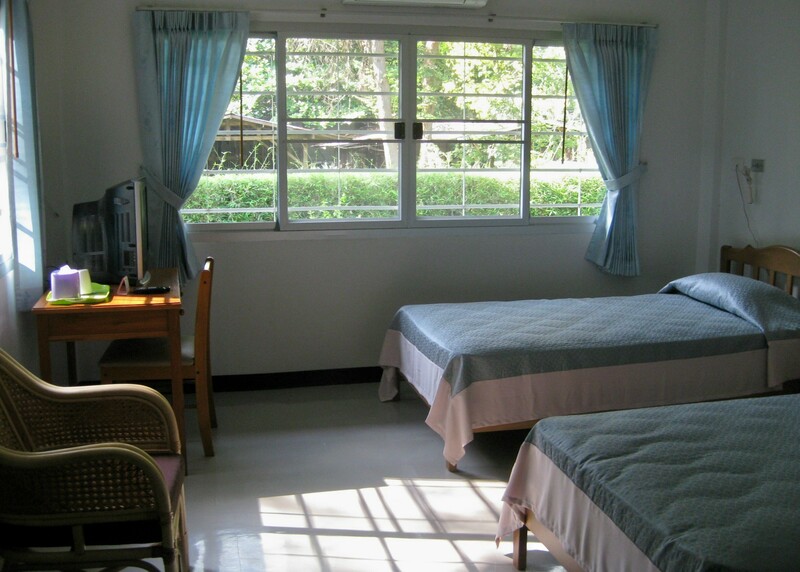 When I was in the eighth grade, Beth and I were roommates in boarding school here in Chiangmai. It was in 2008, when I came with my mother for the Centennial Celebration at McKean, where my father served as director for six years, that I bumped into Beth and we had the opportunity to catch up on the years we had been apart. But it was not until I arrived this year, that I learned what she is doing now and how amazing her ministry is. Back in dark days of the last century, when leprosy was still a dreaded disease and those who had it were isolated from society, McKean was founded as a place where those suffering from leprosy could go to receive treatment, to be taught independent living skills, and to live in community with those who loved and supported them. In those days, life was hard for people with leprosy. Family members rejected them. Villagers feared the disease. There was no way for those with leprosy to make a living on their own. Even their children, who were born without leprosy, were discriminated against and forced to live apart from society. 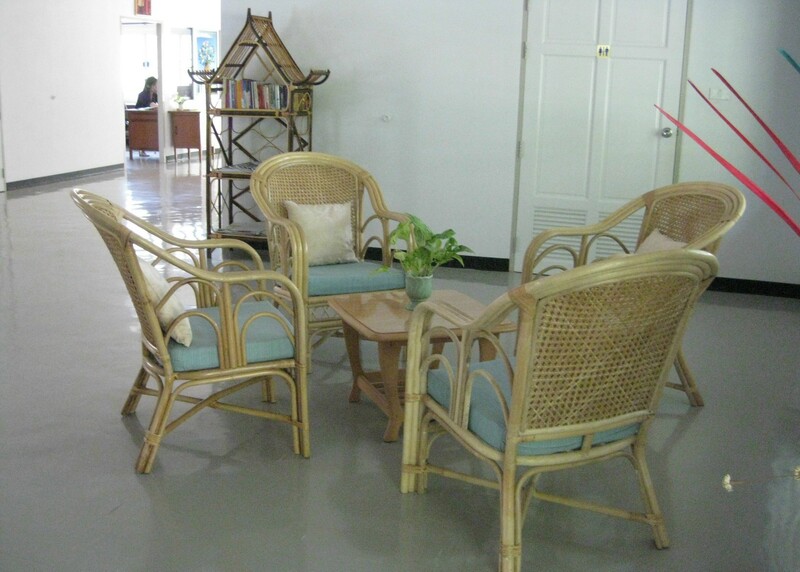 McKean Rehabilitation Center is on an island (Kok Klang) in the Ping River. The land was given to a Presbyterian Missionary by a ruler of Chiangmai to be developed as a leprosarium and soon developed a name for itself as a Christian ministry to the unwanted and unloved. For decades, those who had leprosy came from towns and villages throughout Thailand to live at McKean. Each family was given a tiny home on the island. Mission workers and doctors healed their disease, shared the good news of the gospel, and taught them skills to earn a living. But now, leprosy has almost disappeared from Thailand. The only patients who remain are the elderly who have lived there all their lives and have nowhere else to go. So, what is to be done with this land and how can it be redeveloped into a ministry that serves the church and the community? A group of people with a vision had an answer and, over the last five years, they have labored to build a working model of a new ministry for the church and for Thailand: end-of-life options for senior citizens. 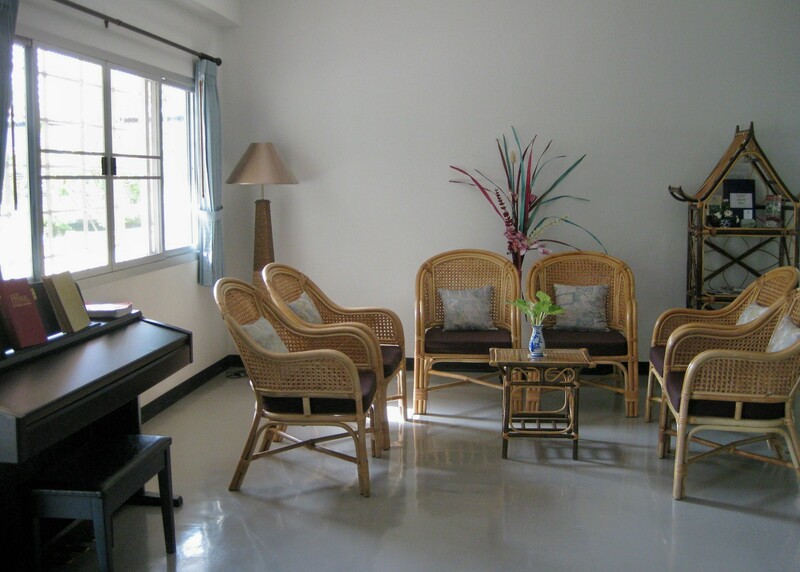 Dok Kaew (Dok Kaew is the Thai name for Jasmine flower) Gardens is an assisted living facility, where residents can live fairly independently, knowing that care is only a call button away. For those who need a higher level of care, the facility offers hospice care, as well as care for those with dementia or Alzheimer’s Disease. 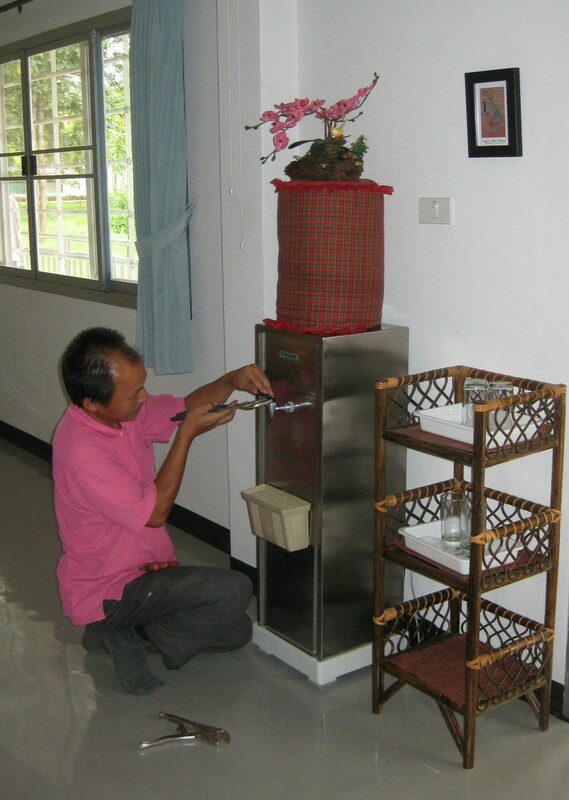 This is a concept that is new to Thailand, where the elderly traditionally live with their eldest child until they die. Education, the rise of the middle class, mobility, and dual-career couples have put an end to close-knit extended families in Thailand, in the same way it put an end to close-knit extended families in the USA. 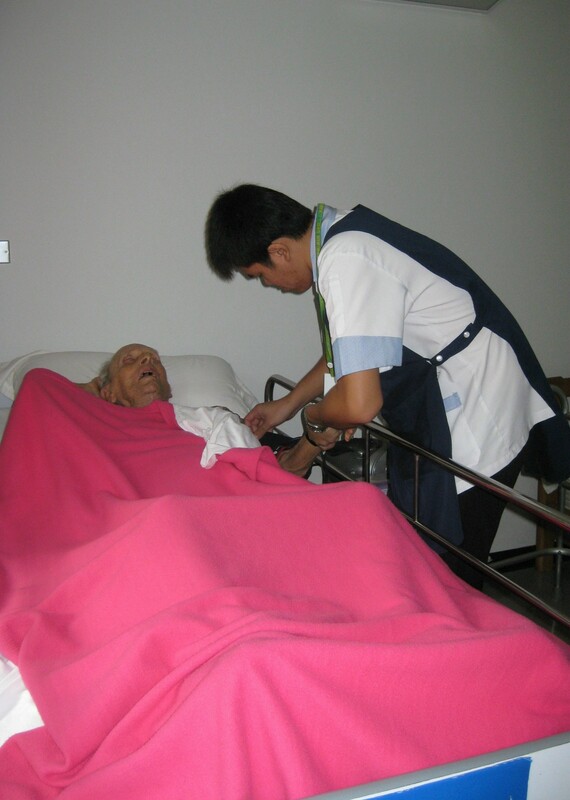 More and more, there is no one to care for aging parents, especially those who can no longer live independently. 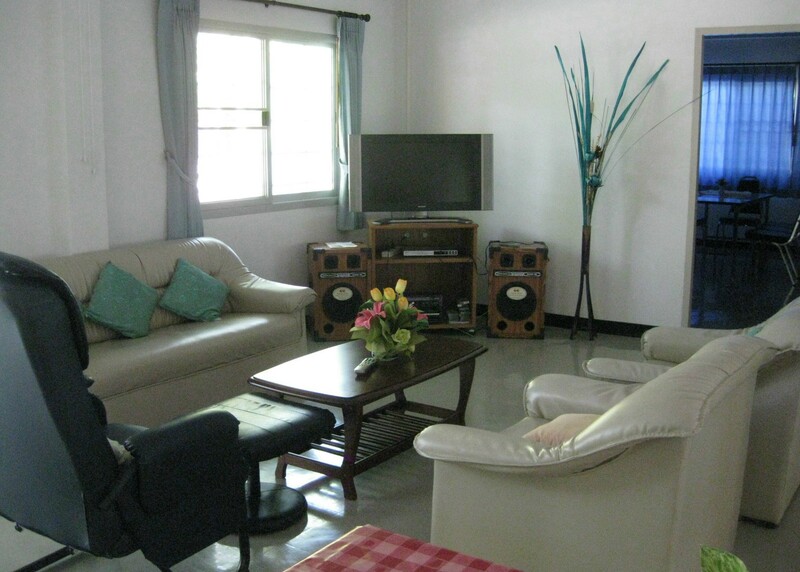 Dok Kaew Gardens provides peace of mind for residents and family members alike. It is an idea whose time has come and, once again, the Church of Christ in Thailand is on the cutting edge of change. 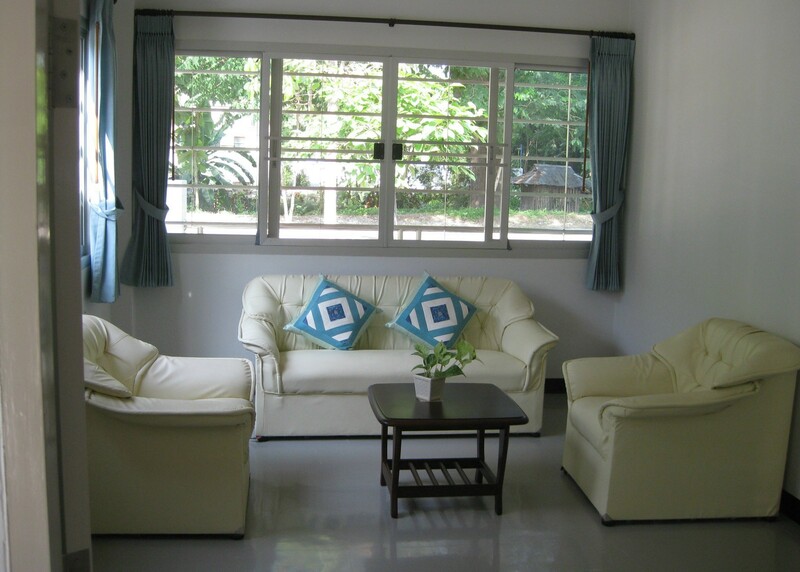 The entire facility at Dok Kaew Gardens is air-conditioned, with the temperature controls in the residents’ rooms. The windows also have screens so that they can be opened if the temperature outside is cool and comfortable, which it is about half of the year. 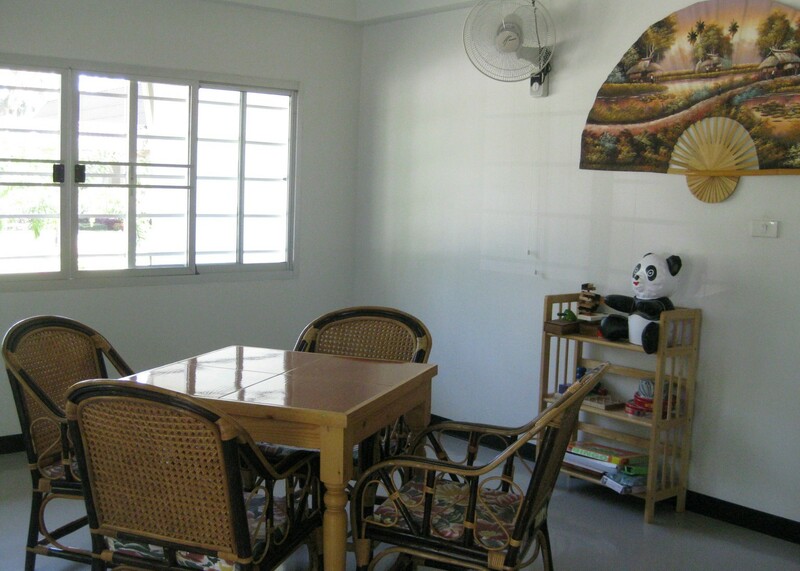 There are common areas for dining, for watching TV, for playing card games or board games, and for meeting visitors and friends. 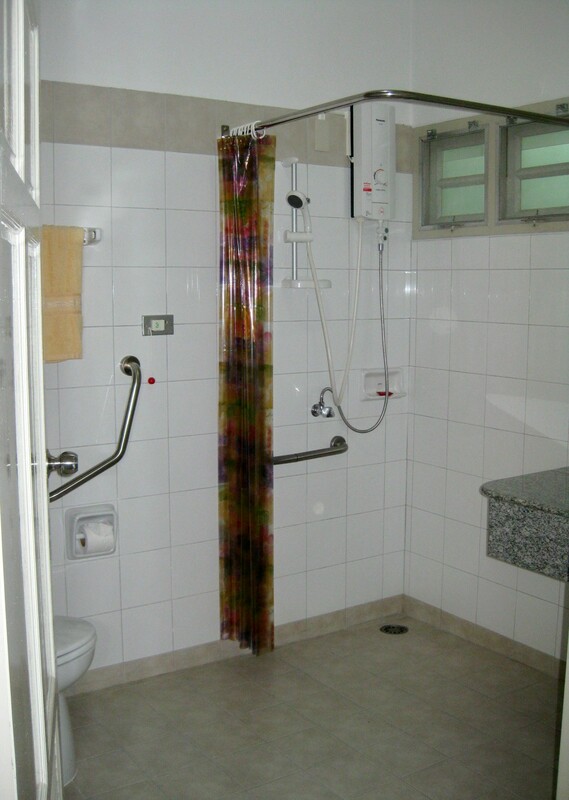 The facility provides three meals a day, laundry services, housekeeping services for the residents, and assistance with bathing and dressing, if needed. 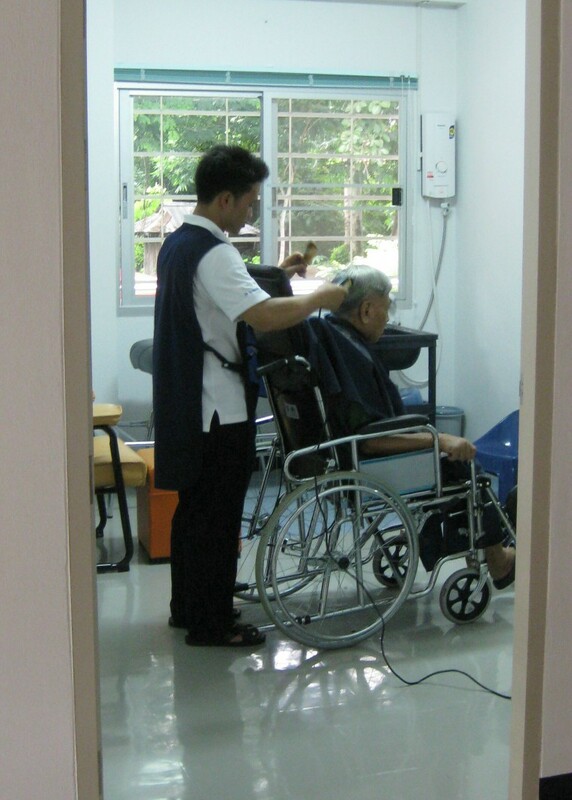 Staff members who are trained in care for the elderly and those who need special care are available 24-hours a day. And how talented these individuals are! Lisa, the Office Manager, speaks fluent English and is Beth’s assistant. Sandy, the Facility Coordinator, keeps track of everything in the facility and manages the staff. There are Practical Nurse candidates who do an internship at Dok Kaew Gardens in cooperation with McCormick Hospital and Payap University. Everyone wears multiple hats, so one day you may see Boyd providing physical therapy to a patient and the next day, you could see him cutting someone’s hair. On the day I was there, Sandy was helping another staff person fold the laundry before delivering it to the residents’ rooms. But it is the residents who benefit most from all this effort. In a place where they may be far from home or far from family members, they receive loving care and a Christian witness. They and their families can have peace of mind that each resident is treated with love and respect. All receive the care that they need. At the present time, there are only thirteen residents, but more and more people are learning about the facility every day. It has already become a model that others are studying to replicate in their own communities. The future vision for Dok Kaew Gardens includes medical interns from the teaching hospitals and pastoral care interns from the seminaries who will provide needed care while they learn how to minister to the elderly. Right now, the facility needs an Activities Director to provide activities that are interesting, fun, and keep older folks actively engaged in life and in each other. One of the people who recently began helping Beth in this work is Christopher Fisher, MD. 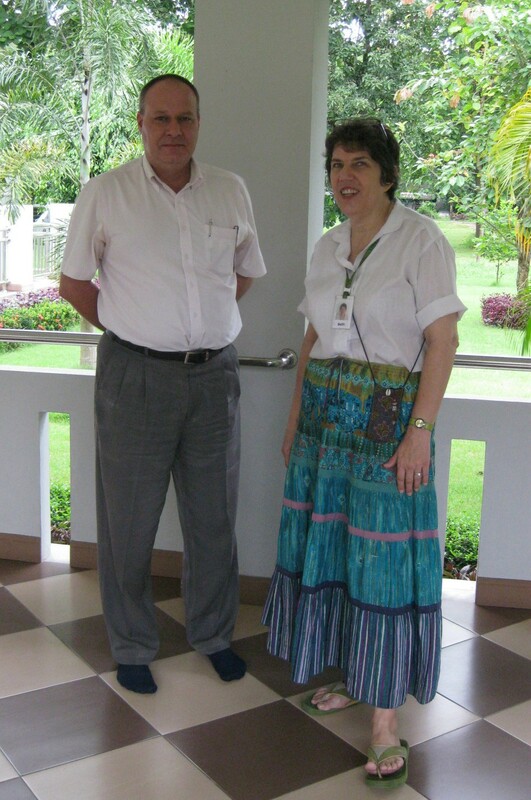 He came to Thailand to teach at Chiangmai University, a school that trains doctors and does medical research. He teaches Clinical Pastoral Education at the university and is working with Beth Roadarmel to create a place for individuals to study pastoral care and social work interning at Dok Kaew Gardens. 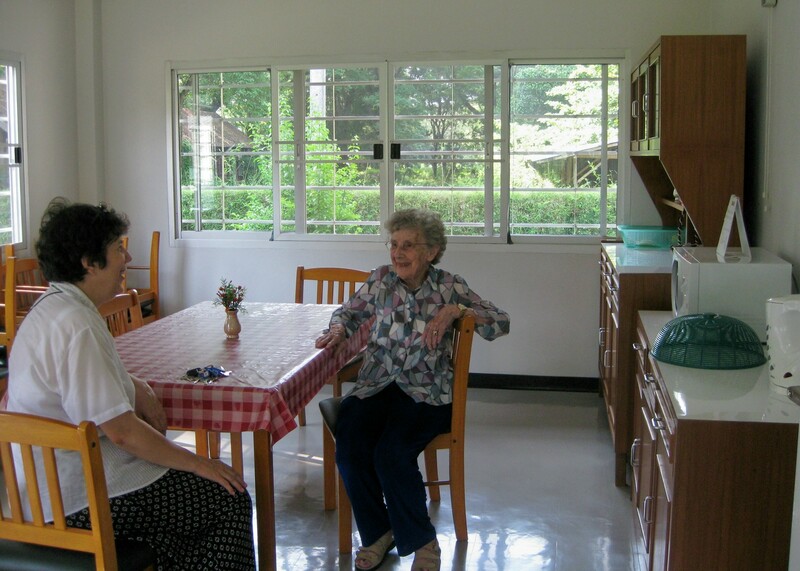 There are some who envision Dok Kaew Gardens as a retirement community for missionaries, as well as for the Thai, perhaps providing homes for those who are still able to live independently and Dok Kaew Gardens for those seeking greater care toward the end of their lives. 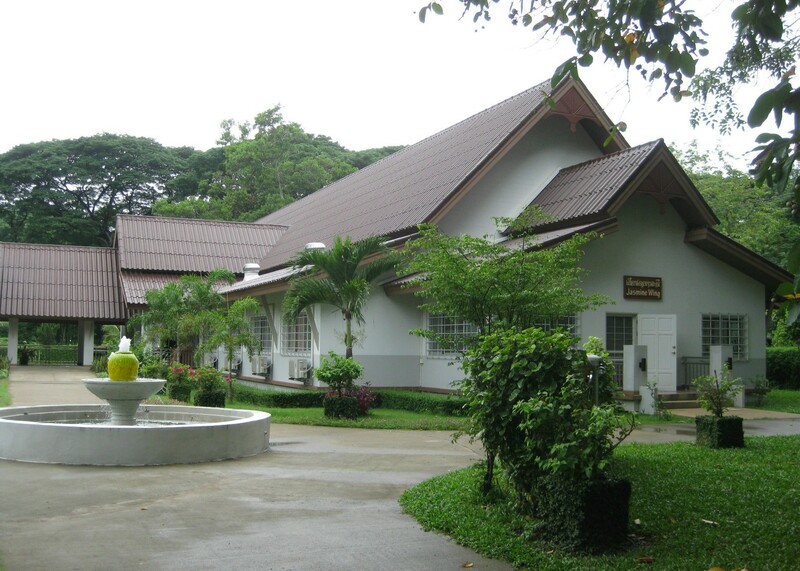 Why do I believe that Dok Kaew Gardens is a critical and viable Christian mission activity? In this part of the world, Dok Kaew Gardens will always have more non-Christians seeking its tranquil gardens and supportive services than Christians. And those who come to live here will learn of a God whose love is boundless and of a Savior with the gift of eternal life. 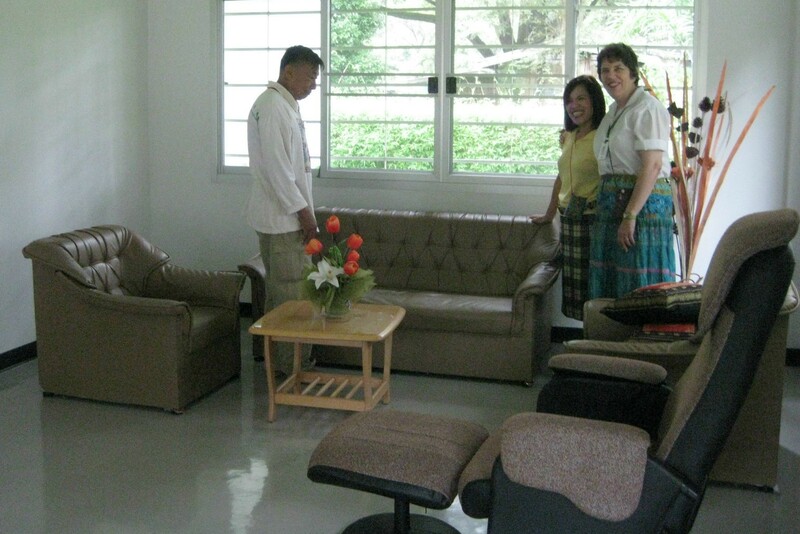 If this facility is replicated in other parts of Thailand, adult Thai children will learn of the Christian faith from their elderly parents in the same way that Thai parents learn of the Christian faith from their children who attend Christian schools. This entry was posted in Uncategorized and tagged architecture, culture, customs, God at work, history, people. Bookmark the permalink. Is this Sharon Bryant from CCC? This is Judy Sterling. I went to boarding school with you!! I am planning to come out to Thailand next year. Please let me know when you get this.